A “calling station” is a player who calls often regardless of their hand strength. These fold-averse players are most commonly found in live and low stakes online games. Calling stations are relatively easy to beat, but they can also be frustrating to play against if you catch a cold run of cards. In this article, we’ll discuss 3 adjustments you can make to crush calling stations and boost your win-rate. Implement these adjustments to improve your win-rate against calling stations. This is perhaps an obvious adjustment to make, but it’s too important not to emphasize: Do very little bluffing versus calling stations. Many players learn this lesson the hard way, though it can be easily avoided. Put simply, if you notice that an opponent is making absurdly wide calls, then bluffing them will probably be in vain. Americas Cardroom, $0.25 / $0.50 6-Handed. $10.87 Effective Stacks. UTG folds. MP raises to $1. CO folds. BTN folds. SB folds. Hero calls. Hero bets $2. MP calls. Hero bets $7.87. MP calls and shows K♦ 7♦. Theoretically this is a great overbet bluff spot for Fee. The board is heavily favors Fee’s range, he holds a blocker to the nut straight (J9) and he doesn’t block the missed spade flush draw. But these reasons are basically irrelevant if his opponent still won’t fold third-pair. The silver lining is that he learned his opponent is a calling station, and so he could ease up on bluffing as a counter strategy. Again, the broader lesson to be learned here is to pay close attention to how your opponents play, and in particular take note of what they show down with when they call. Gathering information is key for making certain adjustments against your opponents. One of the most effective adjustments to make against calling stations is to bet for value in spots that would be too thin against most players. If you’re paying attention, you’ll notice that thin-value spot arise quite often—take advantage! Americas Cardroom $0.25 / $0.50 6-Handed. $22.77 Effective Stacks. UTG folds. Villain (MP) raises to $1. Hero raises to $3. BTN folds. SB folds. BB folds. MP calls. Villain checks. Hero bets $2.14. Villain calls. Villain bets $3.49. Hero raises to $17.63. Villain calls and mucks A♠ Q♦. This hand demonstrates why you should think twice before making an “easy call” (or “easy check”) versus a calling station. Combine these range considerations with a player pool that’s practically allergic to folding, and you’ve got a recipe for a razor-thin value raise that will be called by worse often. Calling stations tend to have inelastic calling ranges. This means that in many spots they will call a bet regardless of how big or small it is. We can exploit this tendency by using larger sizes with our value bets. Savvy players would pick up on sizing tells like this over time, but weaker players will rarely give it a second thought. Americas Cardroom $0.25 / $0.50 5-Handed. $50 Effective Stacks. MP folds. CO folds. BTN folds. Villain (SB) raises to $1.50. Hero raises to $4.50. Villain calls. Villain checks. Hero bets $7. SB calls. Villain checks. Hero bets $38.50. Villain calls and mucks Q♦ T♦. Once Villain checks for a second time on the turn, and then flats our delayed c-bet, we can heavily discount two-pair+ from his range. Given how connected the board is, we’d expect those hands to be played as leads or check-raises on the turn. When the river bricks, we are confident we have the best hand and so we size up to exploit Villain’s tendency to over-call. 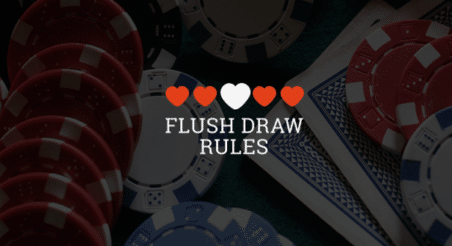 The fact that the opponent calls almost a 2x pot bet on the river with second-pair, despite blocking our most likely bluffs, is proof of just how punishable calling stations are. There’s also something to be said for the polarized nature of larger bet sizes. 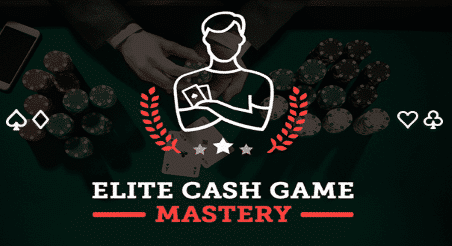 When an overbet is used, we are signaling to our opponent that we have either a very strong hand or complete air. As a result, players will still call down with marginal bluff-catchers. Since we are going to be value-heavy versus calling stations, using larger bet sizes in polarized situations will be very effective. That’s all for today! If you’d like to see an article about a specific poker topic, please comment below with your suggestion!